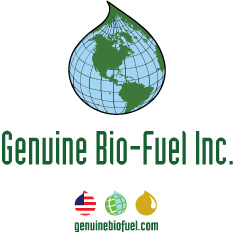 A green fuel company developing a 15 million gallon per year oil production facility in south Florida. The oil they produce will be 100% renewable diesel for direct utilization in diesel engines. Leading-edge oil producing technologies using high-yielding oilseed crops will allow their projects to outperform conventional oil production facilities. Air Curtain Burners, also called FireBoxes, was designed principally as a pollution control device. The primary objective of an air curtain machine is to reduce the particulate matter (PM) or smoke, which results from burning clean wood waste. ARA is an employee-owned scientific research and engineering company based in Panama City, FL, founded in 1979 and dedicated to producing innovative solutions that tackle critical national problems in National Security, Infrastructure, Energy and Environment, and Health and Human Safety. Founded in 2008, BioTork is a biotechnology company focusing on the development of microbial strains capable of producing bio-based chemical commodities such as lipids, alcohol fuels, enzymes, polymers and other valuable compounds from affordable and renewable organic feedstock. Their highly evolved microorganisms increase the efficiency of industrial processes by improving yield, reducing costs and generating additional revenues. Emerald Coast Energy’s mission is to develop a renewable energy business that will produce cellulosic ehtanol and biodiesel from regional biomass sources such as forest, forest understory, and certain landill wastes while prompting U.S. independence from foreign oil. Their main goal is to produce cost effective fuel substitutes while maintaining a clean environment for the southeastern United States. Genuine Bio-Fuel is 100% privately funded and takes great pride in being an environmental steward. Advanced proprietary technology that provides greater efficiencies in production, thus creating higher yields at a lower cost than traditional biodiesel production. Multi-feedstocks such as plant oils and fats, virgin and used cooking oil get purchased and collected which then get refined and produced as biodiesel fuel of the highest quality while still meeting or exceeding ASTM standards. Green Biofuels, LLC, is a dynamic advocate for the establishment of community- based biodiesel production. The cornerstone of our corporate model is the idea of local production dedicated to local consumption. We believe that this corporate philosophy is not only unique in our industry, but it also translates into the building blocks for an improved future for all our stakeholders. GCEN brings a wealth of educational and technical experience to all aspects of energy and water efficiency, alternative energy, and sustainable design. Their multi-disciplinary staff conducts research and develops education outreach programs to promote policies to strengthen energy and water conservation practices, and foster alternative forms of energy and sustainable construction in the United States. SR Energy, LLC (SRE) is a resource optimization company that manages industrial and agricultural waste streams with a patented technology that converts biomass inputs into high value co-products in an environmentally sound way. SRE’s enzymatic and microbial reagent has been repeatedly tested and is proven to efficiently convert cellulosic biomass into fermentable sugars suitable for producing biofuels and nutrients used in the production of organic fertilizers. Trash 2 Cash-Energy has over twenty years of experience in the catalysis industry. Catalytic production of renewable feedstock to energy is at the heart of our company’s interest. In our home state of Florida, there are over 60 landfills. Many of these landfills are not fully utilizing a valuable energy resource in landfill gas. Every flare of methane is a lost opportunity to turn a profit. Landfill gas contains all the necessary ingredients to convert it to synthesis gas via a tri-reforming reaction. United States EnviroFuels, LLC is an ethanol technology intellectual property company that is executing project development management, comprehensive permitting, total project financing, raw material sourcing, product marketing, and design, engineering and construction for planned, multiple fuel ethanol plants in Florida. Viesel Fuel, in Stuart, Florida, is a 7.5 million gallon per year biodiesel facility that is pioneering the use of enzymes and resins to access lower-quality feedstocks in the production of ASTM D6751 certified biodiesel. The enzymatic and resin technologies employed by Viesel require less energy than traditional biodiesel production, thereby reducing greenhouse gas emissions, and can be constructed for a lower capital cost than traditional biodiesel plants. Watson C&D and County Line Landfill was established and operated by Larry Watson over two decades ago. The company started as a small, single truck operation and has grown into a multifaceted organization with more than $2 million in annual revenues.The company currently employs over 40 individuals, has a fleet of 6 roll-off trucks, and a stock of more than 350 construction debris dumpsters.They provide fast and courteous services for construction and demolition debris disposal. They also accept C&D drop offs from the general public at their landfill in Archer. They have multiple locations for landscaping companies or homeowners to dispose of yard waste, which is then recycled into quality mulches and organic compost. Vero Beach location was sold to Texas-based Frankens Energy LLC in early 2018. INEOS biofuel technology was developed through a joint venture between INEOS Bio and New Planet Energy. They use a unique hybrid of gasification and fermentation technology (originally developed with US Energy Department support starting in the 1990s) to convert wood scraps, grass clippings, and other waste materials into transportation fuels as well as energy for heat and power. The Vero Beach facility (Indian River County) will have an annual output of eight million gallons of cellulosic ethanol per year from vegetative, yard, and municipal solid waste as well as six megawatts of clean, renewable power annually-enough to run the entire facility and provide excess power to the local community.